It’s the end of the year. It’s crunch time for 2018 planning. Almost everyone is evaluating what worked and what didn’t and building goals and plans for the year ahead. If you’re not, it’s time to take a long, hard look at your own performance over the last year and find ways to not just hit your goals but to exceed them for 2018. There are many questions you must ask yourself to prepare: What are you going to do differently? What are you going to improve? How specifically are you going to drive sales? Are you going to focus on generating new business? On improving your close rate? On growing your existing accounts? In this blog, you’ll find five tips to help you achieve stellar sales success in 2018. Success isn’t going to fall in your lap. It takes a lot of work. Start by evaluating your strengths and weaknesses. Look at the skills that are essential to succeed and find ways to improve in these areas. 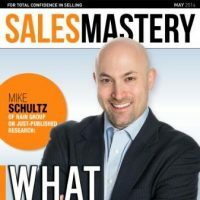 Core consultative selling is an approach to sales whereby sellers redefine reality and maximize buyer value through a mix of understanding, shaping and redefining need, crafting compelling solutions to address the need, and communicating maximum impact for the buyer. If you don’t have a process to win sales, if you can’t lead successful sales conversations, and if you don’t know how to grow your accounts, you will not achieve your maximum potential success. 71% of company leaders do not believe their sellers manage their time and day effectively. To beat your sales goals, you need to maximize your time and motivation. You need to find ways to get more accomplished each day. How do you get started? First, begin to track your time and where you’re spending it. Then, plan for how you want to spend it. The sooner you figure out where your time is going, the quicker you can start maximizing the time you spend on what’s really important. There’s much buzz in the sales world that buying committees are growing, and it’s getting difficult to get consensus on decisions. Perhaps there are more people touching every purchase, but we’ve found that most buying teams have one person who has a profound influence on the ultimate decision—The Domino. The Domino’s primary interest is to influence the action and direction of their team and is often the swaying voice that others tend to follow. In fact, 90% of the time sellers only need to convince one person in a buying committee: the dominant influencer. Whoever plays the role of Domino should receive special attention from you. Look for ways to secure one-on-one time with them and inspire them with what you can do for them. Identifying and getting in with that one person will really pay off. 61% of buyers say that the winners of actual sales opportunities help them to avoid the pitfalls they may encounter after purchase. 73% of buyers say that the seller they chose was considered trustworthy. Only 35% of buyers have a favorable view of sellers—and those buyers are likely to take more risks in the buying process. Risk plays a major role in the buyer’s decision process. Buyers are naturally skeptical. Many of them have been burned in the past and don’t want to repeat their mistakes. However, with all change comes risk. It’s your job to minimize risk and overcome the risk hurdles. 81% of top performing sales organizations (those with higher win rates, revenue growth, and that achieve premium pricing) agree their sales organization is focused on driving maximum value for buyers. Sellers frequently talk about providing value, but the reality is, few actually do it. In fact, only 42% of buyers find value in their meetings with sellers. Before you can drive value, there needs to be a well-thought-out plan to create value. You must know the value you can bring in general and the value you can bring to each individual buyer. As you start preparing for 2018, make a plan for how you’ll improve your skills, manage your time, connect with the Domino, minimize risk, and provide value. If you can focus on these five areas, you will achieve the best sales success. What goals are you looking to achieve in 2018 for your sales team? How have you started to plan for these goals? I’d love to hear about what you’re planning for next year in the comments.